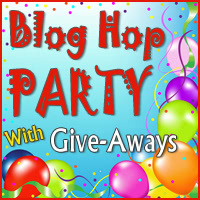 craftytammie: quilter's blog hop party! GIVEAWAY IS NOW CLOSED! thanks to all who entered! 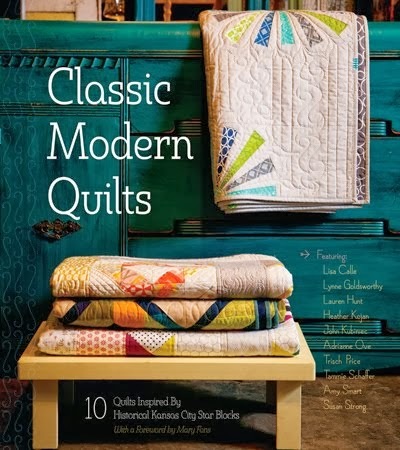 the winner is Farm Quilter! 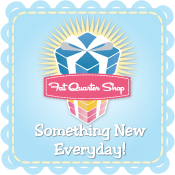 over at the quilting gallery, they are hosting a blog hop party of giveaways to celebrate back to school. and i am so celebrating that!! i love hearing all about what they did at school, and who said what, and i am enjoying my new "free" time too. so be sure to check out the list of participants and visit them, maybe you'll win some cool prizes! a fat quarter bundle of vintage sheet fabric! i recently added a few pretties to my collection. love this little flower basket print. and this yellow lattice print is sweet too. i'll add in three other prints so you have a nice surprise in your mailbox! contest runs through september 3rd, and i will select one winner. all you have to do to enter is leave me a comment. i'd love to know what your bedding looked like when you were a kid in school. i'll go first. i had a canopy bed with the blue holly hobbie gingham bedroom set, straight out of the montgomery ward's catalog. i've searched and can't find any pictures of it - but i bet some of you guys remember it! for more entries, you can follow me using GFC, facebook, or on twitter - you don't want to miss anything, right? just leave me a comment telling me each thing you do. if you are already a follower, thanks!! just tell me that in a comment. thanks for stopping by my blog today. i've got some giveaways and events coming up this fall, so i hope to see you again! I had an antique day bed with plaid whet and bedding set. Thank you for the wonderful giveaway! I had a Barbie bedspread. When the bedpread wore out, my mum turned the pillow case into a sheet for my Barbie Dolls to have on their bed.. and now my daughter plays with it! Wow that Holly Hobby brings back memories, I had that picture and a doll I carried around forever. I had a few different bedding sets, but a bambi one is what I really remember well. I also follow you in google reader, thank you for the giveaway, I've only made it to two vintage sheets in my collection so far, so I have a ways to go! I have the Disney cartoon Character bedding sheet when I was a little girl. We just had white sheets on our beds but they were nice and soft from lots of washings. I'd love to win your vintage sheets. I LIKEd you on Facebook. 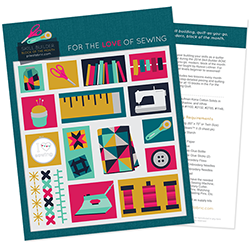 Glad you're part of this blog hop so I have another inspiring quilter to follow. I don't really remember the sheets but the bed spread was pink, red, and white stripes when I was a kids. I would love to win and add these to the few fat 1/4 pieces I already have. thanks for a chance. Actually I bought this retro yellow plaid sheet set because its what I had as a kid. Thanks for the chance! I follow you on twitter. Btw your captcha thing is super hard lol. My bedding was a great Little Mermaid sheet set. It had Ariel all over it, and I LOVED it! I always wanted a canopy, but never had one. Really don;t remember my bedding too much. My sisters and I all had a Sunbonnet Sue quilt on our beds made by my grandma and mom. thanks for the giveaway...love vintage sheets! I had a frilly yellow bead spread that was always piled high with stuffed animals. Thanks for the chance to win! I am a new follower. Nice to *meet* you! I don't remember anything but an ABC quilt my mom made with a pink polyester-like fabric for the sashing. I still love it even thought it's crumbling. I had Holly Hobby as well, but in yellows and oranges. Thanks for chance to win. I had a flat top canopy bed with a white and blue floral bedspread and shams. It must have been polyester because I never remember it being a soft bed to cuddle up on...it was kind of scratchy! I'm a faithful follower via email, gf, twitter and fb. I'm looking forward to your upcoming fall events! Thanks for the generous give away. My grandmother made me a sunbonnet sue quilt. I remember those Holly Hobby sheets! :-) My bed sheets were striped with thin grey(I *think*) stripes and yellow floral bands between. I remember thinking how pretty and cheerful they were. :-) I just love vintage sheets-- they really do remind of a happier, simpler time! I like you on Facebook-- thanks! I follow on GFC, too! Thanks again! I follow you on Twitter, too! Thanks for the extra chances to win! Oh my goodness. There were 7 children in our house, and we just got whatever sheets mom gave us. I really do not remember having specific sheets at all. I'm an Army brat, so our beds were often what was provided to us. My mom sewed, so we had handmade bedspreads. Thanks for the giveaway. I'm a follower my email. Thanks. I had a red and white panel printed blanket made by Mom. My brother had a matching so it must have been a generic picture, I can't remember. The first sheets I can remember were candy strip flanelette ones! Thanks for the giveaway. I don't remember what I had on my bed when I was growing up. I came from a large family and shared a bed with my sister so we had whatever my mom put on there. Thanks for a chance to win! I made purple, white flowered bedspreads for the twin beds in my room for 4-H. I had white sheets with tiny pastel flowers all over. And a pink quilt with Beatrice Potter inspire bunnies all over that my Mom made. My mom sewed my sister and I matching Lady and the Tramp sets for our beds with coordinating curtains for our windows. I just had plain sheets. Fun to hear about others. I had purple stripes on my sheets and the only bedspread I remember was green chenille. 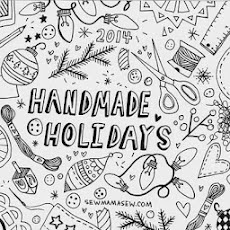 I'm a follower of your blog and I appreciate you joining the blog hop and having such a wonderful giveaway. My bed had a quilt that was light and dark tan/browns. The quilt now sits on my sons bed 30+ years later. He swears its his but I know its mine. I follow in GFC, I just added facebook and twitter just to round things out. I remeber Holly Hobbie. I loved her. I had a very light blue sheet quilt that my mom made. We lived in the dessert for a long time. My bedding was nothing special. I can't remember it! My bedding was always bleached white sheets when I was in school. That was many many many years ago. I had just plain old white sheets I guess because I don't remember anything special about them. Pretty plain bedding but I did have an upstairs room with a dormer window I loved! I had a pretty floral bedspread. Store bought though, not handmade. 1Our sheets were rather boring as they were white cotton , nothing fancy but always nice and clean:-) Thanks for the chance to win. I don't remember any special bedding, but I do remember having a Carebear sleeping bag on my bed a lot- my girls still have it! My sister and I had trundle beds... I can't remember what the sheets or bed spreads were like. Let's see I can remember bunk beds with plain white bedding and Army Wool Blankets. Man was they itchy!! Thank You for the chance to win some pretty vintage prints. Pink and white roses that had matching wallpaper from Sears. I love Hlooy Hobbie. My mom liked to change things around alot by my favorite was in the early 70's. Every thing was big flowers. In bright colors. I remember since I didn't have a headboard she took a floral sheet, same pattern as the ones in the bed, and tacked it up the wall and across part if the ceiling. It was cool looking.. I didn't have the Holly Hobby you are talking about but my mom cross stitched that same picture of Holly Hobby you posted in blue. That hung on the wall. :) My bedding was my great gradma's chenille bedspread. I make a bedspread itch a white top and daisy print skirt. I then painted daisies on a white shade and made a matching valance. my sister and I felt sooooooo creative. We were very poor and sometimes my "bed" was a mattress on the floor. As I remember, I had plain white sheets and a navy blue wool blanket on top -- very warm! Thanks for the insight and all the information..I am a Moda follower.. The only thing i remember about the bedding....we purchased really soft blue and pink floral sheets from Kmart! We still have some of those pieces 50+ years later, and they're still the best sheets to sleep on! Sorry to say, I really don't remember anything particular about bedding from my childhood...I was in & out of Foster homes, and passed to relatives. But now I've grown up...and loooove pretty & happy colors! Love sheets from the the Thrift stores! Have some a Friend's Grandma gave to me few years ago... they are my favorites! I had a chenille bedspread with pink flowers on it. It was actually quite pretty. I had an old "spool" bed with white sheets and hand embroidered pillowcases. My mom made beautiful white bedspreads with flowers around the edges for my sister and I who shared a room! The only bedding I remember as a child was a yellow chenille bedspread. Thanks for the giveaway. I love vintage sheets. I remember holly hobby. Had wall hanging of her. My bed was a canopy too we had red gingham spread. I was in a bunk bed on the top bunk. I had blue snoopy and woodstock sheets. I am a follower via Google Reader!